What content is stored on your file shares? Why analyze your file shares? Do your employees have the freedom to freely store content in various network locations? If so, then your file shares are most likely polluted with a large volume of Redundant, Obsolete, and Trivial (ROT) content. Resource misallocation: unnecessary storage and maintenances cost, that eventually will increase over time. What content is stored on file shares? 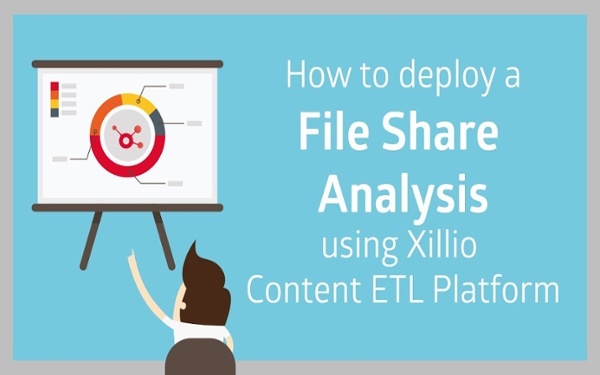 Xillio can perform extensive file share analysis and generate insightful reports in a short time frame. You can perform this process through your preferred systems integrator, or just let Xillio do the work. Watch the video to see how easy it is to perform an in-depth analysis on your file shares. Download the list of extended insights offered by our file share analysis. What is so special about Xillio's file share analysis? There are many clean up tools available. With Xillio, we take it a step further and help you to understand your content thanks to 40+ standard insights. This helps you to better prepare your migration or clean-up project. 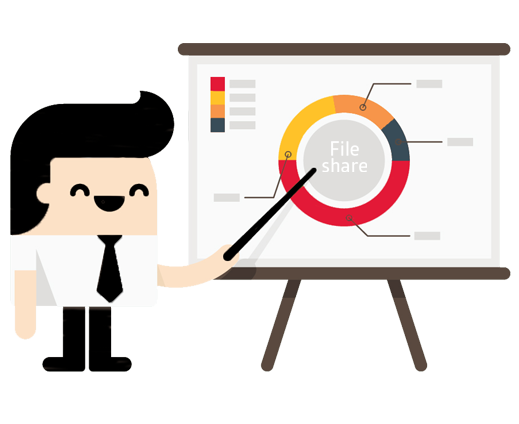 What is a File Share Analysis? With a file share analysis, we analyze all content that is stored on file shares or network drives to identify which content is ROT. A file share analysis is usually done prior to a content migration. Want us to analyse the content on your file shares? Need help moving away from using file shares. Fill out the form and we will contact you as soon as possible.